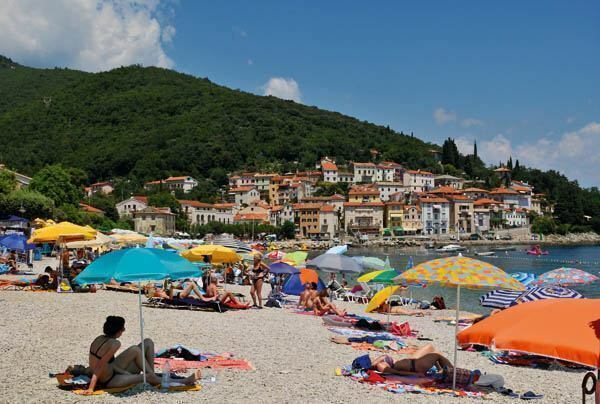 At the time of the Austro-Hungarian Empire at the turn of the 19th into the 20th century the rail lines Vienna – Matulji, Vienna – Ljubljana – Trieste and Zagreb – Karlovac – Rijeka initiated the tourism on the Opatija Riviera. 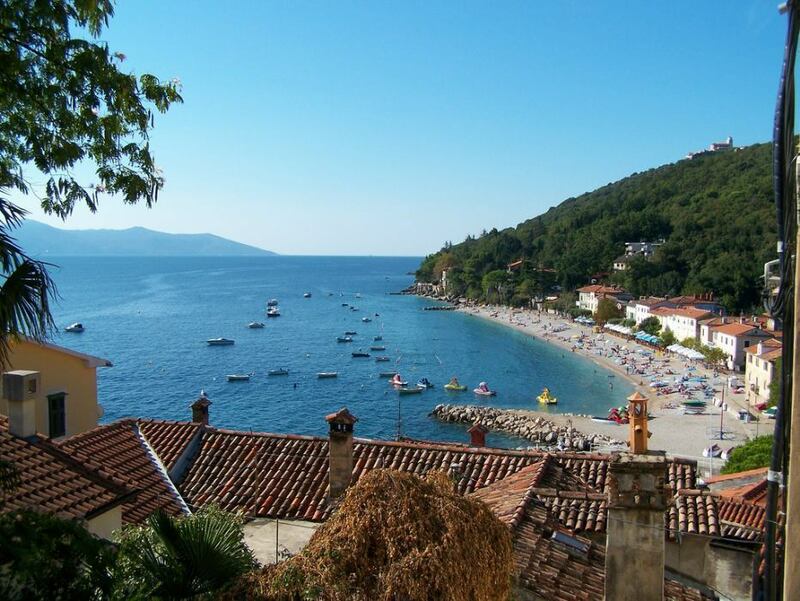 The guests were making trips in horse-carriages from Opatija into the romantic Mošćenička Draga. The first tourist overnight stays were recorded in the beautiful villas built at the end of the 19th century. 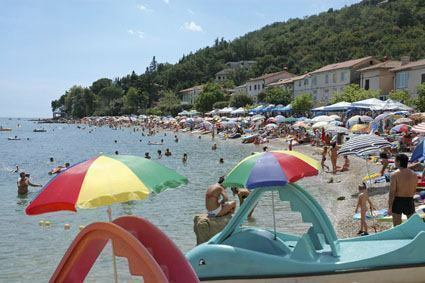 The beginnings of tourism are linked to the Armanda family who owned the hotel with the same name in the centre of Draga. On the foundations of this historic hotel subsequently built was the Hotel Draga, later renamed Miramar, and - more recently - as present-day Mediteran. 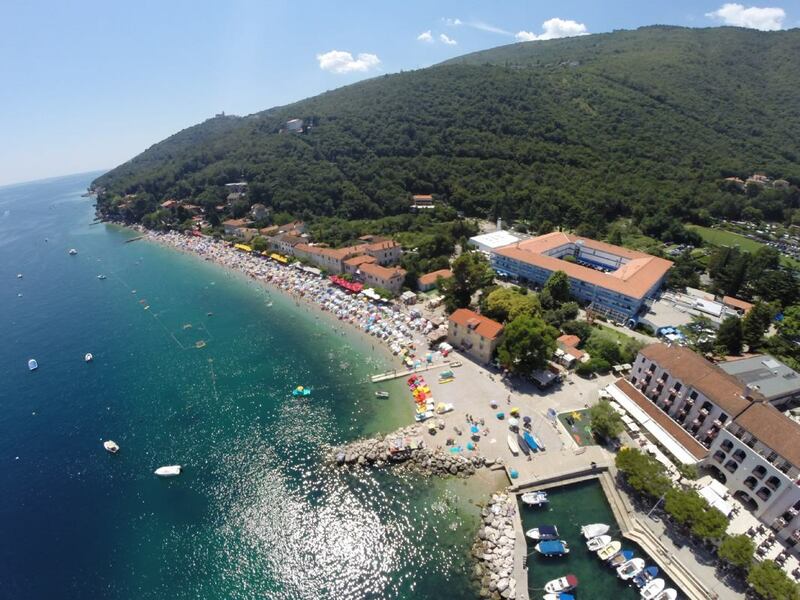 Alongside the Hotel Armanda one of the originators of tourism in Mošćenička Draga was the Pansion Alla Marina built on the beach itself. It is no wonder that the Mediterranean climate, clear sea, beautiful nature, healthy and tasty food began attracting tourists from all over the world. 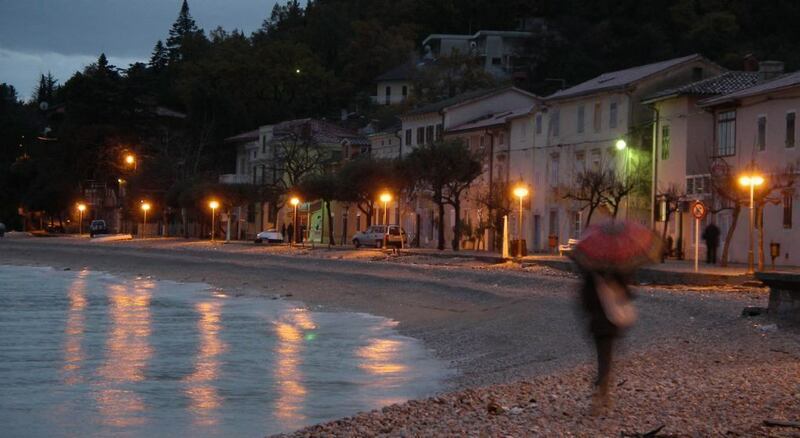 The Promenade (Lungomare) towards the Sveti Ivan Beach rouses the romantic feelings and all the way along the shore you are enveloped in the murmur of the sea and scent of Mediterranean vegetation. The crown of this path is Villa Zagreb (formerly Ossoinack) followed by a string of charming old villas close to the Sveti Ivan Beach. 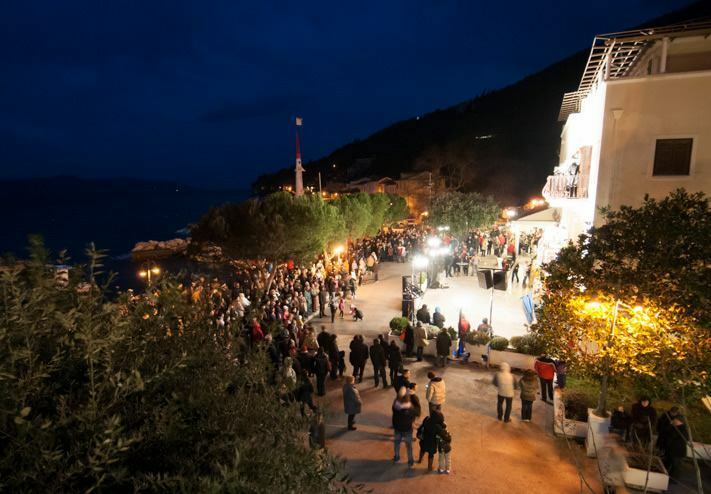 At the end of the first beach there stands a monument to the Partisan units who disembarked here on 25th April 1945, liberated Mošćenička Draga and proceeded to liberate Rijeka, Istria and the Croatian Littoral. 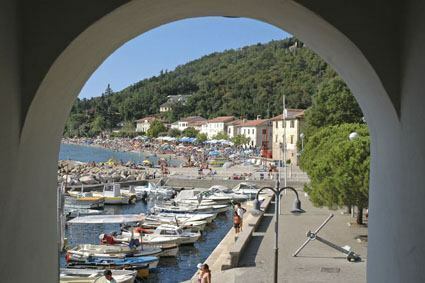 The old town of Draga with its compact houses and narrow passes descends steeply all the way to the sea. At its foot there is a small amiable harbour – a home to fishing boats, smaller vessels and - in the summer months - a mini-marina for tourist boats. 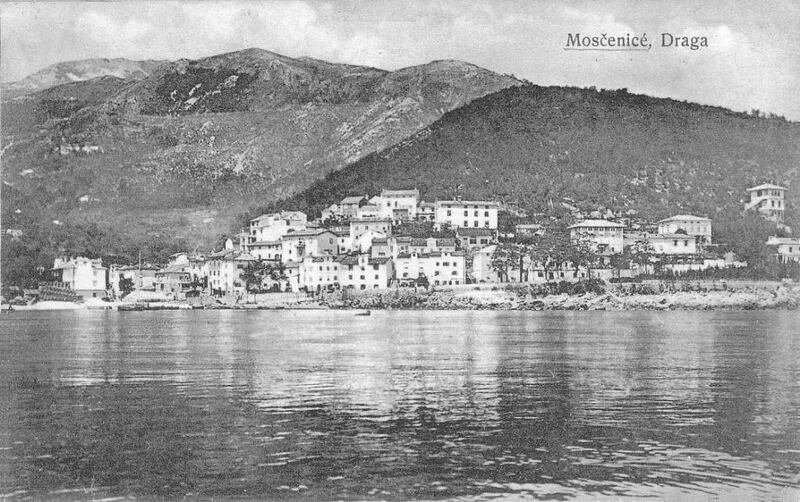 The old town is a typical fishing settlement which sprang up by the end of the 19th century when the inhabitants of the town of Mošćenice and surrounding villages slowly moved down to the coast due to fishing. 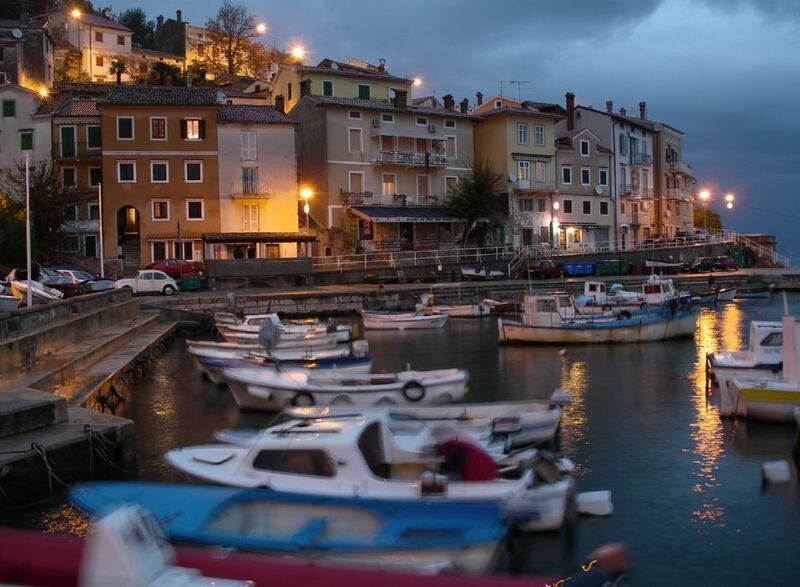 Mošćenička Draga developed as a fishing harbour of the town of Mošćenice, and the written records mention it as early as the year 1436 when the existence of a settlement on the harbour near Sveta Marina is mentioned. Mošćenička Draga is the administrative seat of the Municipality. It numbers around 900 inhabitants, with fisheries and tourism being the key commercial activities.